Being a kid with a bunch of older siblings, EVERYTHING I listened to (musically) was picked, borrowed or stolen from my brothers and sisters. Turned out none was a Notorious BIG (Christopher Wallace) fan. Ours was a 2Pac household. Years later, I’d discover Notorious BIG and man, wasn’t he talented? I still love 2Pac’s music, for he was such a talented visionary genius with messages so deep you’d wish the man could could run for office. 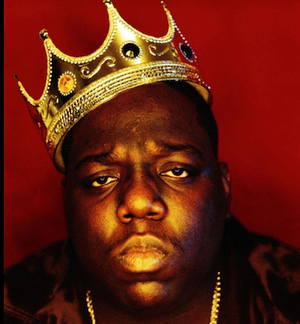 However, Notorious BIG, in my view, was the guy who could make you forget your problems and get loose. But not with 10 Crack Commandments.